From the Shadows: Spirit Storm Giveaway Winner! 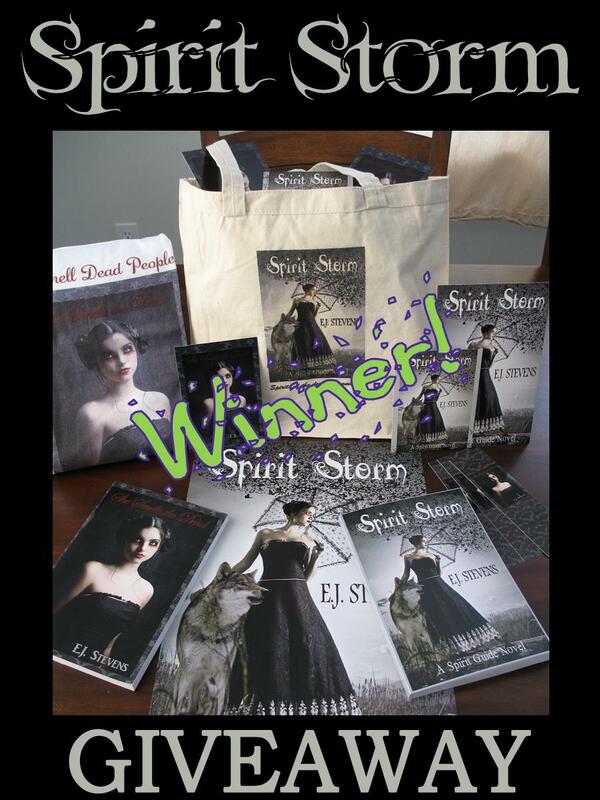 Congrats Heather of Buried in Books the winner of our Spirit Storm Giveaway! Heather is the lucky winner of a Spirit Storm tote bag stuffed with Spirit Guide Series prizes including a signed copy of She Smells the Dead , signed copy of Spirit Storm , "I Smell Dead People" t-shirt (size XL), She Smells the Dead bookmarks, Spirit Storm poster, and Spirit Guide Series postcards. Didn't win? Don't miss the Paranormal Spring Break Giveaway for Spirit Guide series prizes beginning tomorrow at Parajunkee's View and Tynga's Reviews, the March Madness Spirit Storm Giveaway at the Paranormal Romance Guild, or donate to Shelter Box to provide disaster relief to earthquake and tsunami victims (details here) and tweet your donation with the hashtag #thenameoftheshelterbox or #thelastlittleshelterbox and be entered to win signed copies of She Smells the Dead , Spirit Storm , and much more! Thanks so much!! I am so happy you wouldn't believe it!! Yea!! !